Where should the Government prioritise the Cashless Debit Card? Do you support the Cashless Debit Card being rolled out to all those under the age of 18 years on welfare payments? What is the Cashless Debit Card? A debit card to help build healthy people, families and communities. The Cashless Debit Card works as an effective tool in helping to minimise the social harm caused by excessive alcohol consumption, illegal drug use, and gambling.  Card holders receive 80% of their welfare benefit on a debit card. The other 20% is deposited into a standard bank account and is available to be withdrawn as cash. The welfare payment amount remains the same and the Cashless Debit Card only applies to those on working aged benefits, not aged or veteran pensions. The Cashless Debit Card works just like any other credit or debit card that most Australians would already have. The Card can be used for everyday purchases at any store. The only change is that many transactions will become electronic and it cannot be used to buy alcohol or gambling products. Cash is the currency of the drug trade and gambling industry. Alcohol abuse, drug taking, and excessive gambling is harmful to individuals and their families. We want our communities to thrive. The Cashless Debit Card strikes a balance between allowing welfare recipients to make independent decisions about what they wish to buy, and helping to create safe communities. We know that the Cashless Debit Card plays a critical role as a circuit breaker. Who made the Cashless Debit Card animation? The Cashless Debit Card animation was produced by the Minderoo Foundation and is narrated by a local leader in the East Kimberley. The animation is based on community members’ observations of the positive impacts the Cashless Debit Card has had within the trial sites. We want people in the communities to feel supported in their efforts to change the high levels of daily harm occurring because of excessive alcohol consumption, drug use and gambling. Who runs cashlessdebitcard.org.au and the Minderoo Foundation? The Minderoo Foundation operates cashlessdebitcard.org.au. We are a registered charity, originally known as the Australian Children’s Trust, founded by Andrew and Nicola Forrest in 2001. We have no affiliation with Indue or the Government, and we are strictly non-partisan. The Foundation supports the Cashless Debit Card as a means of administering more responsible welfare. Does limiting cash address drug and alcohol addiction? The Minderoo Foundation believes that cash can be an enabler of toxic behaviours for some vulnerable people. Its limitation is only one aspect of the solution to overcome drug and alcohol addiction. This is why we advocated for additional support services to be committed across the trial sites. In support of this, the Government invested an extra $1 million dollars for services in Ceduna, and $1.3 million dollars for services in the East Kimberley. One of our focuses continues to be ensuring that these support services are accessible to the people that need them. Is the Minderoo Foundation advocating for a national roll out of the Cashless Debit Card for all welfare recipients? No. The current implementation of the Cashless Debit Card works by blocking the entire merchant. In the trial areas the Government has worked to resolve these issues on a case by case basis, for example, by installing an EFTPOS facility in the local Ceduna op-shop. Creating Parity – The Forrest Review recommended a technology that blocked restricted items rather than entire merchants. The Minderoo Foundation believes that this issue needs to be resolved before any national roll-out could be considered. We also believe there are other communities like the trial sites that may want to embrace the existing technology and work with local retailers in the same way. Why does the Minderoo Foundation believe the Cashless Debit Card should apply to all welfare recipients under the age of eighteen? We want a welfare system that supports young people to fulfil their potential and we know that our youth in receipt of welfare payments are amongst some of the most vulnerable Australians. The Cashless Debit Card minimises the amount of a minor’s welfare payment that can go towards purchasing alcohol or gambling. It is already illegal for minors to engage in such activities. The Minderoo Foundation believes that young people in receipt of working-aged welfare payments should be supported to make everyday purchases, to save, and to gain long-term employment. Does the Minderoo Foundation believe that Cashless Debit Card bank accounts should be interest bearing? Yes. The Minderoo Foundation is calling for the Cashless Debit Card to be offered as a product by all banking institutions. We believe that this will introduce competition into the market and provide choice to consumers. Will my privacy be affected? Is the Cashless Debit Card universally supported in the trial communities? ORIMA’s Final Evaluation found that community leaders remain committed to the Cashless Debit Card. However, it also found that 32% of participants said that the Cashless Debit Card made their lives worse, while 42% said that it made no difference, and 23% said that it had improved their lives. We acknowledge that the 32% figure is cause for concern but it is important to note that this has reduced from 49% reported during the Interim Evaluation. This strongly indicates that participants are becoming more accepting of the card over time. Furthermore, the three key reasons cited as to why the card is making lives worse include: (1) that participants cannot give cash, (2) that participants do not have enough money, and (3) that the card is a hassle. Minderoo has been actively working to improve the technology behind the card to make it less burdensome on participants. Creating Parity – The Forrest Review anticipated a spike in crime which would need to be addressed collaboratively with community leaders and the Police. The Minderoo Foundation takes this data seriously and will continue to work with community groups to ensure the right support services and diversionary agents are available and effective. ORIMA’s Evaluation also indicates that data over the longer term will paint a clearer picture of any potential correlation. Whilst some of the evidence is mixed, there remains strong anecdotal reports from local service providers and community members that indicates less anti-social behaviour within the trial sites. Does the Cashless Debit Card alter the amount paid? No. The welfare payment amount stays the same. Do recipients have access to cash? Yes. 20% of the welfare benefit is paid into a standard bank account, available for cash withdrawals. Recipients can also apply for a higher percentage of cash if they require it. Can the Cashless Debit Card pay bills? Yes. Bills can be paid in person or online. Are there fees for using the Cashless Debit Card? No. Like most debit cards, the Cashless Debit Card does not have fees attached. Balances and transaction histories can be checked for free. Is the Cashless Debit Card only for Indigenous people? No. The debit card is for all working age welfare recipients, regardless of ethnicity or cultural identity. Is the Cashless Debit Card like the 'BasicsCard' or another form of income management? No. Income management is much more restrictive – it involves an intervention by the Department to ensure “priority needs such as rent, bills and food” are paid first before distributing the rest of the payment. Cashless Debit Card users still receive the full payment upfront and are only restricted from purchasing alcohol and gambling products. How an individual manages their payment is at their discretion. Why do I need the Card if I don’t drink or take drugs or gamble? There is a correlation between unemployment and other challenges of disadvantage such as substance abuse. We believe the safety net of welfare in our society exists to support our most vulnerable members and so the conditions of welfare benefits must include measures designed to protect those most at risk. We understand that there are a myriad of circumstances as to why someone might require welfare benefits and we are not suggesting that all recipients are drug, alcohol and gambling abusers, but a national system that caters for all individual circumstances is simply not possible. If you do not have to manage drug, alcohol or gambling issues, the main change should be that more of your purchases are electronic. The Minderoo Foundation is aware that there are technological limitations to how the Card is currently working. Specifically, that the Card blocks entire merchants rather than individual items being purchased. We have called on the Government to address this shortfall with the banking and retail sectors. We will continue to advocate for the Card to operate as effectively as possible. How can I contact INDUE or the Department of Social Services? The Minderoo Foundation is a not-for-profit initiative that oversees the www.cashlessdebitcard.org.au website. This policy explains how we use, disclose and protect the personal information of people who use our website or otherwise join or support the Cashless Debit Card in the ways described below. The Minderoo Foundation values and respects the privacy of our members. In order to use the Cashless Debit Card site, we may require information from you in order to provide the best service possible. All correspondence, including by email, may also be collected and stored, particularly in regard to donations. The Minderoo Foundation collects, holds, uses and discloses personal information where necessary for its operation, including staying in contact with you and letting you know of opportunities to take part in supporting the roll out of the Cashless Debit Card, as well as for any secondary purpose that is reasonably related to this primary purpose. The Minderoo Foundation may also hold, use or disclose your personal information where you have expressly or implicitly consented to the holding, use or disclosure, or where the holding, use or disclosure is authorised or required by law. If the Minderoo Foundation wishes to hold, use or disclose your personal information in other circumstances, we will obtain your prior consent to do so. Further information about this is provided in the remainder of this policy. in exceptional circumstances, the Minderoo Foundation may be required or permitted by law to disclose personal information, for example when it is necessary for something you have requested from us and when necessary to protect someone’s safety, rights or property; or otherwise with your consent. We do not hand our membership lists over to other groups. From time to time we might let you know about an exciting or important campaign being run by a partner organisation to support the roll out of the Cashless Debit Card. When we do this, the Minderoo Foundation will let you know, and will not hand over member information without consent and without securing a suitable written agreement with the other organisation for the proper use of this information. If at any time you would like to unsubscribe from our email list, you may do so by clicking on the unsubscribe link included in each of our emails or by emailing info@creatingparity.org.au with “unsubscribe” in the subject heading and we will remove your name from our lists. We will act quickly to implement such requests but please note there may be time lags of up to a month to remove names from our database. What technologies do we use to analyse traffic on the Cashless Debit Card website? If at any time you want to know exactly what personal information the Minderoo Foundation holds about you, you are welcome to request access to your record by e-mailing us at info@creatingparity.org.au. As a standard procedure to protect anybody else gaining access to your personal information, we will ask for some proof of your identity before disclosing this information to you. The Cashless Debit Card website contains links to other websites. The Minderoo Foundation is not responsible for the practices or privacy policies of those sites, unless overseen by us. If you have any questions about how we handle your personal information and protect your privacy, please feel free to contact us at info@creatingparity.org.au. The Cashless Debit Card is one of 27 recommendations made in Creating Parity – The Forrest Review. For more information about Minderoo, please click here.